There’s nothing we love more than talking to people as passionate about cannabiz branding as we are. Seriously, we probably spend more time that we’d like to admit throwing our hands in the air in our excitement over it all. Maybe that’s why we’re attracting a lot of potential clients that are coming in to enthusiastically ask us the million dollar question: Should I Build a Cannabis Brand? Oh boy, what a great question. Where do we start?! It starts with the most important consideration of all: What do you want to be when you grow up? Or as our VP of Strategy likes to ask, “Do you see yourself on the farm everyday? Or do you see yourself in an office, overseeing a farm? This might seem like a silly question but it’s really an important exercise in soul searching. If you’re serious about building a retail brand that will compete in this fast-changing market, you need to be ready to run your business, which entails a lot more than farming. 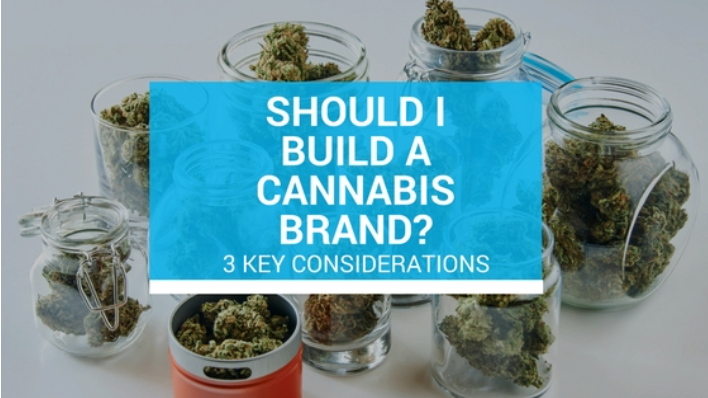 Building a brand is no easy task in any market and cannabis is no different. It’s going to take proper resources to truly build a brand (read: you need to realistically think about how deep your financial resources are). The good news is that there’s plenty of cash pouring into cannabis ventures, the not so good news is that like any other capital, you still need to work to get it. You get the idea. There is a lot that goes into resource allocation to make sure a brand can drive sales and justify its marketing expenses. What makes your brand or products different? We mean this with love but just because you grow amazing cannabis doesn’t mean that’s a viable niche for your brand. Amazing is almost a cost to entry these days. Our local market here in Santa Cruz essentially demands high quality artisan grows. But a strong brand position goes beyond having premium product. It is built by focusing on the unique things that truly sets you apart. We’re here to help draw that out – but we can’t help if a client can’t get past hanging their hat on quality alone. A unique positioning is about much more than quality. Think lifestyle. Think changing cannasumer demographics. Think trends that drive other industries. Think breaking out in a way that just hasn’t been done yet. THAT is the stuff that real brands (and their marketing agency partners!) are thinking about all day long. If you’re still on the fence, we’re here to talk. And we’ll try to keep our excitement in check.